Welcome to Loughborough University's Sports Science Service. 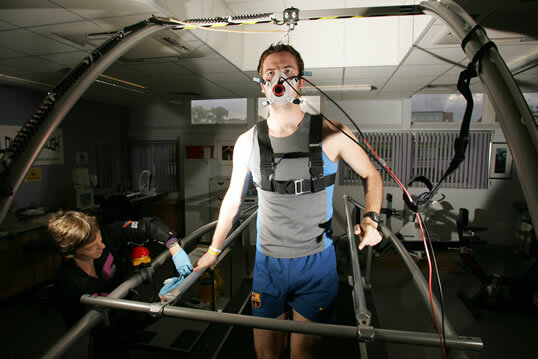 We are part of Performance Sport Services which sits within the Sports Development Centre at Loughborough University. Performance Sport Services can help you achieve your sporting or wellbeing goals, whether they are to complete your first race, take a few seconds off your personal best or just to lead a healthier lifestyle. Well that’s a fairly long list but we can help you achieve any of these goals, and more. The three services - Sports Science, Sports Medicine and Strength & Conditioning - provide world-class, expert support delivered by experienced staff. The services work in tandem, and many sports people will benefit from the combined support these services can give (please visit our sport-specific pages for more information). We offer services to help you achieve your goals, but please also have a look around our website for information and advice on different aspects of training, nutrition and wellbeing. The information on these pages is based on scientific research. We have many years of experience and so pride ourselves on being able to explain even the most technical of scientific principles so that anyone can understand. More importantly, we aim to give you information that you can USE whether that might be a half-marathon training programme or just some knowledge to help you to read food labels properly. The Sports Science Service can give you training advice based on a scientific assessment of your fitness, advice on nutrition for training and competition, and provide you with mental strategies to get the best from yourself in competition. We also offer health assessments, healthy lifestyle advice and health-related fitness and nutrition assessments through our Lifestyle Service. If you are injured and need physiotherapy, want to stay injury free or need a massage to help you cope with the demands of training, our Sports Medicine Service can help - one of our popular services is a Functional Movement Screen. Our Strength & Conditioning can assist you with all aspects of your conditioning training, from improving specific aspects such as strength and power, through to general training, and conditioning to prevent or return from injury. We offer a wide range of workshops covering all aspects of sports science, fitness, training, nutrition, psychology and injury prevention. These can be tailored to suit the needs of your group/club. These sessions are interactive and designed to give you the most up-to-date knowledge and show you how you can apply this to improve your performance. We can run sessions for coaches and also for parents. The Loughborough Sports Science Blog keeps you up-to-date with all additions and changes to the loughborough-sports-science.com Web site. Subscribe here. Understand what exercise physiology is, some of the key terms and how these relate to sports performance. Sports nutrition for health and performance - get the most out of your nutrition with Loughborough University. We offer a range of information and services to help you. Get more out of your cycling training with Loughborough University’s Sports Science Service. Training for a triathlon? 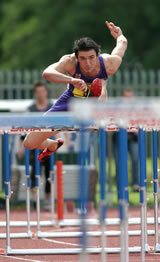 Loughborough University Sports Science Service can help you succeed.